It starts to work its effect rapidly on your body, so it is useful to quickly relieve symptoms when they get worse. Salbutamol is the generic name of the drug, which is the name of the active ingredient in the medication that has an effect on your body. However, you may know it better by one of its brand names, the names given by the pharmaceutical companies that produce each medication. · Metered dose inhaler (MDI): pumps salmeterol in propellant gas into the airways when you coordinate breathing in with pressing the button of the inhaler. · Dry powder inhaler (DPI): delivers a powder that contains Salmeterol into the airways with a breath-activated device so that you inhale the powder as you breathe in. · Nebules: delivers the medication with an air compressor or jet and useful if you need to take higher doses for a longer period of time. What type of drug is it? Salbutamol is a type of drug known as a short-acting beta2 agonist. This is a group of drugs that act in a similar way to activate the beta2 adrenoceptors and cause the muscles surrounding airways to relax so that the air can pass through more easily. Another example of a short-acting beta2 agonist is terbutaline. There are also some drugs known as long-acting beta2 agonists, such as eformeterol, indacaterol and salmeterol. These medications work in the same way but continue to have an effect for a longer period of time so can be used for different purposes, such as preventative treatment rather than relief of asthma and COPD symptoms. Salbutamol works its effect in the body by stimulating certain receptors, called beta2 adrenoceptors. When these adrenoceptors are activated, the smooth muscles surrounding the bronchial tubes relax so that the airways can expand and allow the air to pass through more easily. This is useful in the management of respiratory conditions such as asthma and COPD. Salbutamol works its effect quickly but doesn’t stay inside the body long after taking the last dose in comparison to other types of beta2 agonists. This makes it a good choice for relief of asthma or COPD symptoms because it can rapidly help to make breathing easier but doesn’t stay to cause significant side effects. 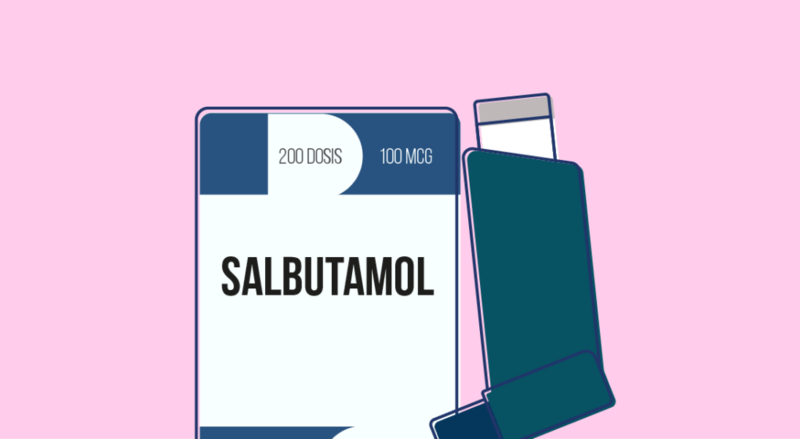 Because of the way that salbutamol works, it is usually used as a reliever medication in the management of respiratory conditions such as asthma and COPD. It is supposed to be used on an as-needed basis, only when you are experiencing symptoms such as difficulty breathing or before physical activity that is likely to cause exercise-induced asthma. It can be helpful for you to keep a record of how often you need to take salbutamol for the relief of respiratory symptoms. If you rely on taking it too often – more than three times a week – it could be a sign that your asthma or COPD symptoms are not well controlled. You may need to talk to your doctor about preventing symptoms with other medications, such as long-acting beta2 agonists and inhaled corticosteroids. Fortunately, the effects of salbutamol are relatively short-lived, and your body clears the drug quite quickly if you do experience these side effects. For this reason, if you are having an asthma attack it is usually preferable to take salbutamol to relieve symptoms, even if you do experience some side effects in the short term. In any case, you should talk to your doctor about an action plan so that you know how to act if your symptoms do take a turn for the worse. 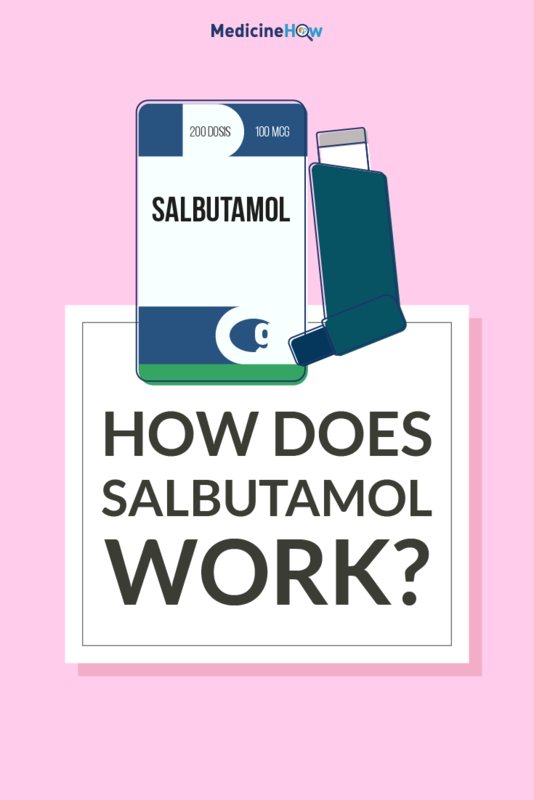 Salbutamol can interact with some other drugs that you may be taking, and it is important for you to be aware of these interactions so that you can double check that the combination is okay. · Sympathomimetic amines (e.g. ephedrine, phenylephrine, pseudoephedrine): increased risk of side effects such as tremor, tachycardia and headache. · Beta-blockers: have an opposite effect on the beta2 adrenoceptors in the body, so they are not usually used together. · Theophylline: increased risk of low potassium levels in the blood (hypokalemia) so you will need to monitor your potassium levels more closely than usual. There is not much evidence to guarantee the safety of salbutamol for women who are pregnant or breastfeeding. However, it is important that asthma symptoms can be relieved so most women continue taking salbutamol as they did before becoming pregnant. There is little data about the use of salbutamol for women who are breastfeeding, although it should be safe to use.